I’m glad I took the meeting, despite the pitch fitting all three of the above stereotypes. Prototype demos are to be consumed with a grain of salt, but Mass Fidelity’s the Core got this jaded heart pumping. The Core has a S/PDIF optical input, an analog stereo input (and an onboard analog-to-digital converter), a subwoofer output, and a USB port for charging a smartphone or tablet. 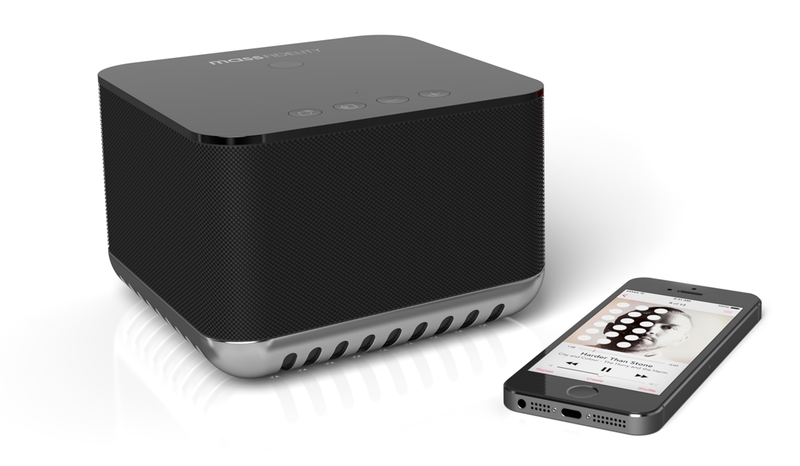 The Core isn’t just a Bluetooth speaker, although you can stream Bluetooth audio to it (more on that later). It’s an entirely new type of speaker system that uses an audio-rendering technique known as wave field synthesis to produce a sound from a single speaker cabinet that’s unlike anything I’ve heard before. It’s not the familiar stereo, which places audio events in left and right points in space. The problem with stereo is that the effect collapses the instant your head moves out of the sweet spot. During my demo with the Core (sorry, I just can’t cap the "t"), Mass Fidelity CEO Ben Webster encouraged me to get up out of my chair and walk around the room. No matter where I sat or stood, the soundstage was the same, with audio events originating from the same distinct left and right spatial locations. A guitar playing in the right-hand of the room stayed in the right side no matter how far to the left of the speaker I moved. Drums acoustically placed in the center of the stereo field stayed centered no matter where I wandered. The Core prototype sounded better than any of Sonos' self-contained music systems. I won’t pretend to understand all the science behind wave field synthesis, but Webster pointed me to this Wikipedia entry that delves into the topic. As Webster pointed out, however, this page discusses large installations with many speakers, where the Core uses a single enclosure with five individual drivers (four to reproduce mid-range and high-frequencies, and one for bass). The audio algorithms responsible for the Core’s unique sonic imaging are executed on six digital signal processors (DSPs) aided by an ARM-based CPU. 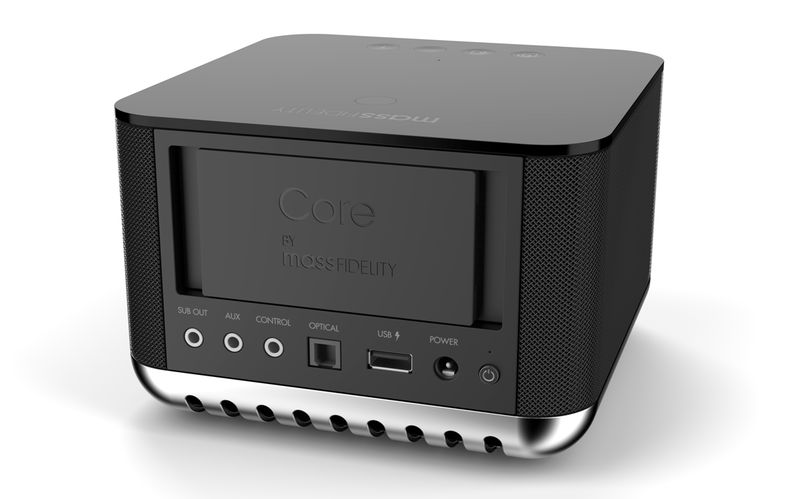 Mass Fidelity has no plans to develop an app for controlling the Core, but you can stream music to it from a smartphone or tablet via Bluetooth. By now, you’re probably wondering how Bluetooth and Sonos play into this story. Personally, I couldn’t care less about using Bluetooth to stream audio to any device. But people who do care will be glad to hear that the Core can decode both AAC (used mostly by Apple devices) and aptX (used by many other Bluetooth devices) audio bit streams. 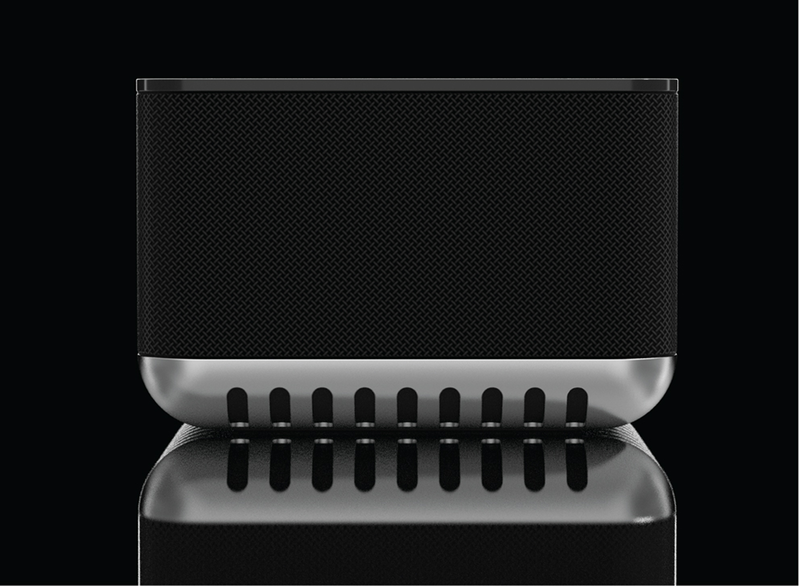 Now for the Sonos connection: The Core can operate its own proprietary 5GHz network to support a multi-room speaker system. This aspect of the product isn’t as sophisticated as Sonos’s rightfully lauded mesh network—you’re limited to nine nodes, where a Sonos network can support dozens—but nine nodes is plenty for most households. Besides, the Core can operate on battery power, so you can tote one from one room to another. 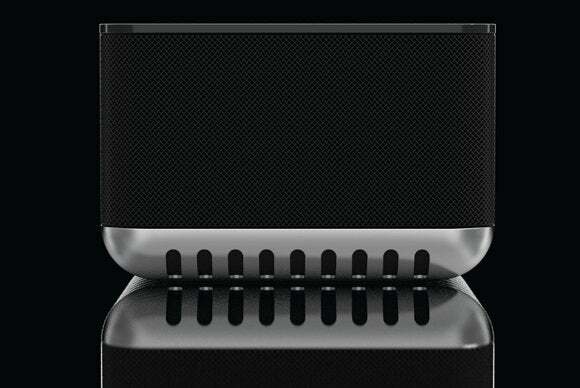 Perhaps more importantly, the prototype Core sounded better than any of Sonos’ self-contained speaker systems. 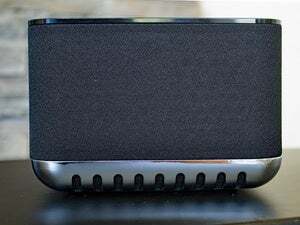 And it can decode high-resolution audio files (tracks encoded at 96-bit resolution and sampling rates of 192kHz), where Sonos devices are limited to 16-bit/44.1kHz. That last fact won’t matter if you rip your CDs and encode them in FLAC or Apple Lossless, and it will matter even less if you encode them as MP3s or listen to one of the many music-streaming services (Spotify, Slacker, Beats, and so on. Yes, you can use any of those services with the Core, but only via an audio source. The Core itself can't connect to the Internet.) But if you’re buying high-resolution audio tracks from a service such as Bowers & Wilkins’ Society of Sound, you want to hear every nuance you’ve paid for. There are more details to learn about the Core, but I’ll leave those—and my final judgment of the system—for my upcoming review. If you’re interested in more information, head over to Mass Fidelity’s Indiegogo page, where the Core is available for preorder at a discounted price of $349 each, $698 for two, or $999 for three. Mass Fidelity assures me the wait for shipping units won’t be long. The company plans to charge $599 each after the Core goes into production. Update: Mass Fidelity blew past its $48,000 crowdfunding goal—it's raised more than $719,000 to date—and it announced a wireless subwoofer. You can read about the new product here.